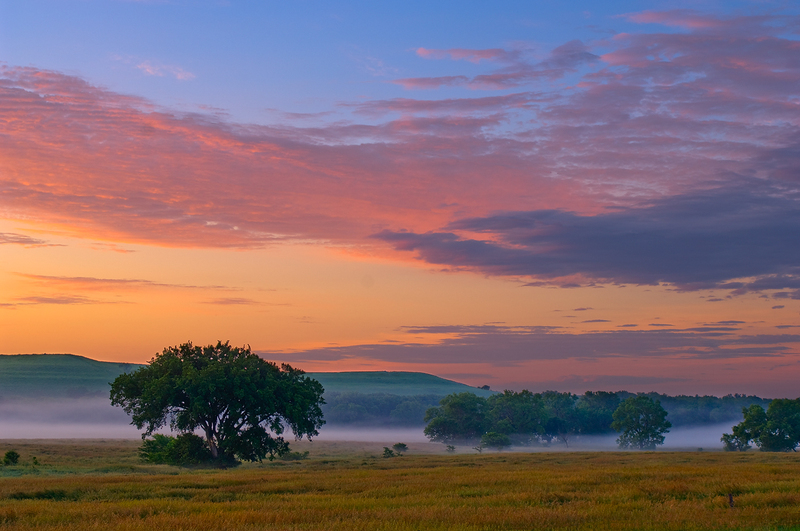 A beautiful sunrise in June over the Kansas Flint Hills. Tallgrass Prairie National Preserve, Kansas. Photo © copyright by William Dark.